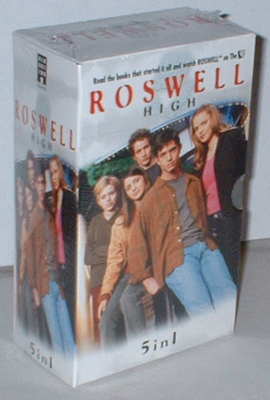 The television show Roswell was loosely based on the series of books Roswell High by Melinda Metz. Confusing? A little maybe, but keep reading and it will make sense. Below is all the info about the publication of the books, broken down into sets. This page is graphics intensive. It may take a few minutes to load. Some pics and info from Amazon, Borders, ebay, various auction and bookseller sites, and Wiki. 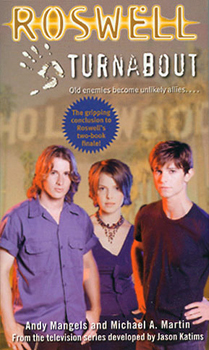 I can't find a pic of the Roswell High book the Stowaway orig cover. pics, please submit them, and I will credit you. 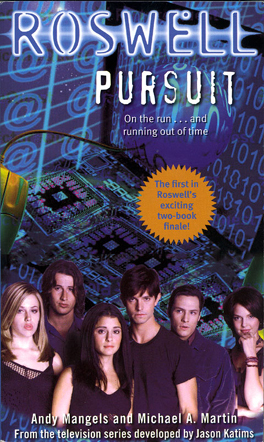 The first Roswell High book was orig published Sept 1st of 1998, and others followed quickly, a new book every few months. They were published with what are listed as original covers below. 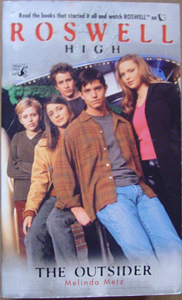 When the Roswell 'Pilot' was picked up by the WB, the Roswell High books were quickly republished with new covers featuring the cast of the TV show, and released one a month, starting in Nov 1999. From all my research the show was put into the TV schedule sometime after the release of book 5, so I am pretty sure 'original' covers were never done for books 8-10. I'm not even sure the orig covers for books 6 & 7 made it to print. They may have just been concept art that was never released because they wanted the books to be republished with art from the show. I have never actually seen book 6 or 7 with the original art and I have been looking for years. Also, I couldn't find an exact release date for books 6 or 7 before the show aired. 6 and 7 were both announced but postponed, so I am not positive they were released before the show aired. They may have been held to be released with the art from the show. 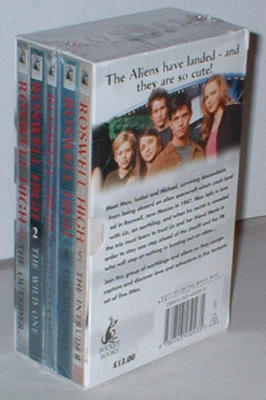 The British versions of the books were published in England with pretty much the same covers that were released in the US, but you can see that the British versions do not have the statement at the top "Read the books that started it all and watch Roswell on the WB". The Australian versions were published in the US and are basically the same covers, but some have a little different colors because they were from a later printing. It appears that another cover of at least some of the Roswell High books was released in 2002. 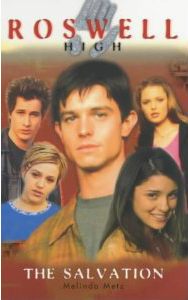 You can see below that they had different words at the top of the cover that say "Read the books that started it all and watch the hit TV series Roswell". These were published after the series had left the WB and moved to UPN so the updated wording makes sense. Also, the Pocket Books logo has been removed. From the research I've done, it appears that Simon & Schuster who owns Pocket Books decided to stop publishing childrens books under Pocket and move them instead to Simon Pulse, so the books were all reprinted under Simon Pulse. It is also interesting to note that the republished books were a bit larger than the ones before. Liz has seen him around. It's hard to miss Max - the tall, mysterious senior stands out in her high school crowd. So why is he such a loner? Max is in love with Liz. He loves the way her eyes light up when she laughs. And the way her long black hair moves when she turns her head. Most of all, he loves to imagine what it would be like to kiss her. But Max knows he can't get too close. He can't let her discover the truth about who he is. Or really, what he is . . . Thanks to bobthejeep for this! Isabel: From the moment she hears the roar of Nikolas' motorcycle, she's hooked. This new guy in town seems to understand exactly how she feels and thinks, exactly what she needs. He's someone willing to let her be what she was born to be...the wild one. Max is dying. No one wants to believe it, but he knows it's true. And as the end grows closer, he can only think of one thing: Who will protect Liz if he's not here? Liz can't stand watching Max suffer. She's determined to find some way -- any way -- to save him. But the only way to help Max is to risk her own life. Is she willing to die for the one she loves? Michael: He's being held in a secret compound. But he's concerned less for himself than his friends. Max. Maria. Liz. Alex. And Isabel. 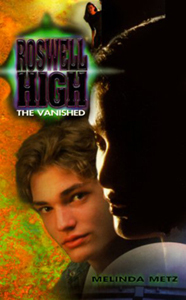 He's got to get out before he's forced to betray the Roswell residents whom Sheriff Valenti is dying to capture. And once Sheriff Valenti has the information he wants, he won't be needing Michael anymore. Cameron: She fell for Michael while in the compound...spying on him for Sheriff Valenti. Now she feels guilty, and wishes she could tell him the truth. But how can she be honest -- without losing Michael? 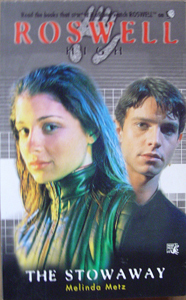 it was supposed to be released in June or July 1999 but may have been postponed or canceled because the show was picked up, and they wanted to release all of the books with covers of the stars in the series. I've never actually seen this cover for the book in 10 years I've been looking for it. This may only be concept art and it was never produced. Liz understands that Max can't rest until he finds Alex. And she's been busy herself -- spending time with Roswell newcomer Adam. She's been having so much fun with Adam that Max is in danger...of being forgotten. 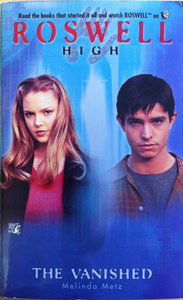 it was supposed to be released in September or October 1999 but may have been postponed or canceled because the show was picked up, and they wanted to release all of the books with covers of the stars in the series. Michael has finally found the one thing he always yearned for -- family. 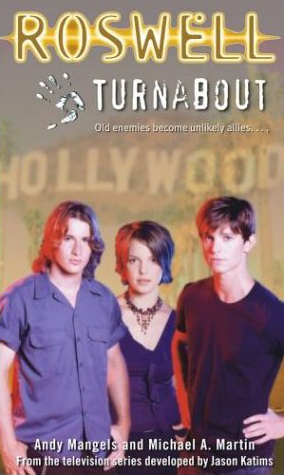 When his brother Trevor arrives in Roswell, Michael will do anything to please him. But soon Trevor's loyalties come into question -- and Michael is caught in the cross fire. 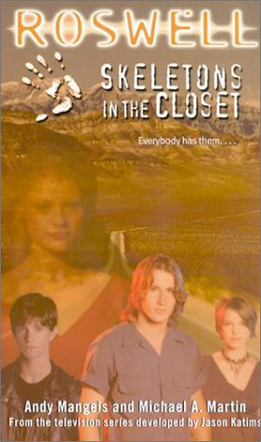 Maria's little brother has disappeared and she knows the kidnappers are trying to get to her and her friends. Devastated and guilt-ridden, Maria turns to Michael for help. But will he be there for her, or has Michael himself become the enemy? Alex is back on Earth, and he's a changed man. He looks better, feels better, and is ready to live life to the fullest -- without Isabel Evans. Little does he know he's the only person that can help the ailing Isabel. Will Alex be able to put aside his pride and save the life of his former love? Max is out of control. He's lying to his friends, ignoring his family, and has even turned on Liz. Has Max completely lost his mind...or is Max not really Max at all? Liz hasn't felt connected to Max in a long time -- not the way she used to be. She knows he isn't the guy she fell in love with. There's something else controlling him. Something sinister. Can Liz help Max break free before he's lost forever? This book was sold in the UK. 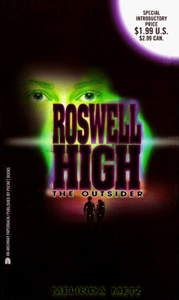 Roswell High series - The Outsider & The Rebel. It was made exclusively for the bookstore WH Smith in the UK. I am unaware if any of the other books in the series were released as 2-in-1 combos. I believe it was only available in the UK. 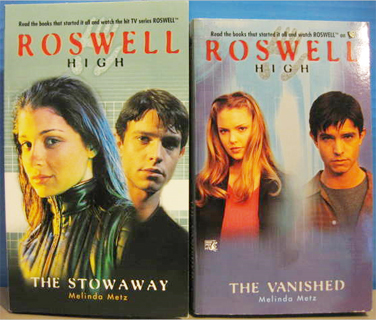 These books were all published after the television series had started, and their plots are based on the TV series, not the Roswell High Books. They are like 'lost episodes'. The books didn't sell very well, so each book that came out had fewer and fewer made, and they are considered fairly rare. I have often seen them listed for sale for $50, $80, $125 and more. The last book is the most rare, and I have seen it listed for more than $180. It isn't stated exactly when these books take place, but you can kind of estimate from some things are mentioned (or not mentioned) in the books. 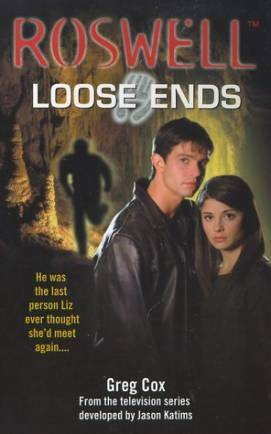 Loose Ends seems to take place late season 1 before 'The White Room' and 'Destiny'. 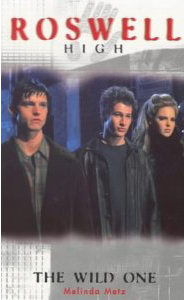 Max and Liz are still together, there is no mention of Tess or Nasedo, but strangly somehow the group already knows about the Skins and the Special Unit. But the book says it was almost 2 years ago that Liz was shot. That would put it in Season 3. So perhaps it takes place in an AU. lol Maybe they meant it to take place after season 2 when Tess has left? But that would set it after the two following books. So your guess is as good as mine. 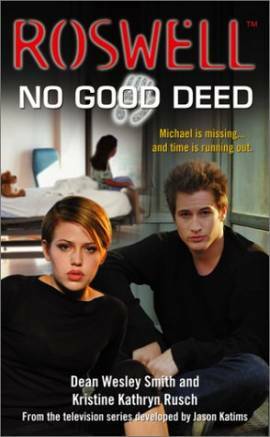 No Good Deed states that it takes place after 'A Roswell Christmas Carol'. 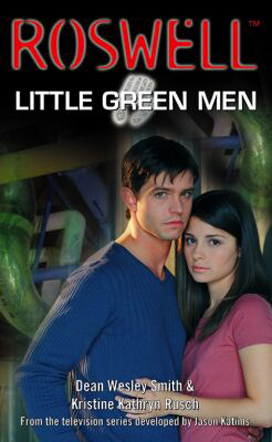 Little Green men states that it takes place after the Hybrid Chronicles in Season 2. Eight hundred feet underground...and deep into danger. It started out as an innocent road trip to Carlsbad Caverns to unwind, but now Max, Isabel, Michael, Liz, and Maria are totally regretting their plan. Hundreds of feet underground, in the cavern gift shop, Liz turns and is stunned to see someone she thought she'd never meet again -- the man who shot her long ago in the diner. Their eyes meet and Liz bolts. But running won't solve the group's new "problem." Because the shooter has recognized Liz. Now he wants her dead. Save my child. Save Katie. Michael has been taken, kidnapped by a frantic father in a desperate move to save his dying daughter. Chad Newcomb is sure Michael was the one who performed last Christmas' miracle, healing ill children in a hospital. Maria, Max, Tess, Liz, Isabel and Valenti are hot on Newcomb's trail, but a reporter's nose for a medical scam leads her straight to Max, foiling the group's rescue plan. And Katie's life is on the line. Will they be too late . . . again? At first it seems amusing when Kyle Valenti's skin takes on a lime-colored hue. But within hours, the hospital has become a disaster area, full of humans who look more like aliens than the real "Scandinavian" occupants of Roswell. 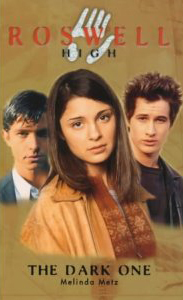 Soon, Maria and Alex have joined the club, and Max decides to use his powers to return them to normal. Except his healing touch apparently doesn't work when the trouble is cosmetic, and not life-threatening. While the military forces the colored population into top secret quarantine camps, Liz searches for a scientific explanation and finds a familiar culprit -- and a new sense of urgency. Within forty-eight hours, this alien contaminant will change the humans' skin permanently, leaving the humans green...and Max, Michael, and Isabel unveiled. It isn't stated specifically when these books take place, but you can kind of estimate from some things mentioned (or not mentioned) in the books. 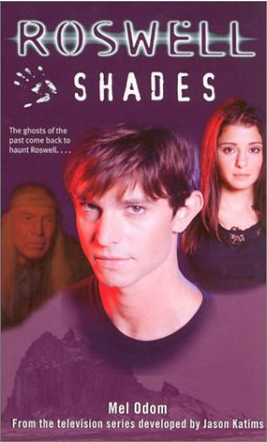 Shades, Skeletons in the Closet, Dreamwalk, and Quartine all take place after Departure. 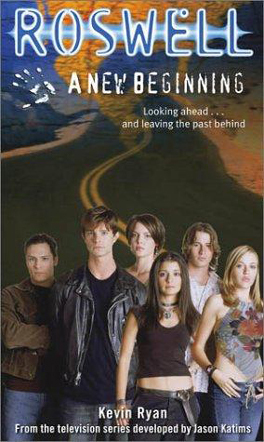 A New Beginning, Nightscape, Pursuit and Turnabout, all take place after the series has ended, and the gang is on the road in the van. 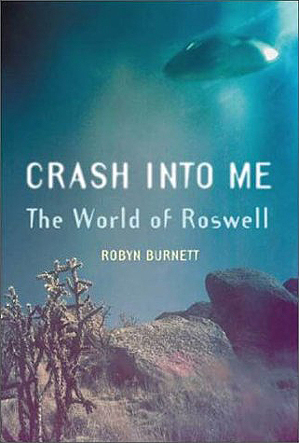 Now that their best chance for returning to the home planet has left without them, the "Czechoslovakian" residents of Roswell (code for aliens) must adjust to a more permanent existence on earth than they were expecting. Seeing a possible future for the two of them, Maria nags Michael about money, sending him packing on a salaried weekend trip to help a geologist study a proposed chemical company site. As the group camps out under the stars, a round of spooky ghost stories provides entertainment -- until one of the guys sees a real ghost. The kicker? Michael can see it too. River Dog has also been plagued by the shades of the past in recent days, and he brings Max out to the desert to bear witness as the apparition threatens him. He tells Max of an ancient Mesaliko prophecy that tells of vengeance being exacted by the tribe's ancestors if Visitors are allowed to remain among them -- Visitors like Max, Michael, and Isabel. As the hauntings increase in both frequency and violence, the alien teens and their friends know they must uncover the true origin of the phantoms -- whether physical, mystical, or alien -- before the ghosts follow through on their deadly threats. It's all in the past...or is it? 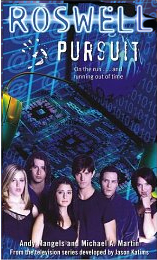 After Michael gets inspired by the photo of Charles Dupree and Max "borrows" some files from the UFO museum and Liz surfs the Net, the "Czechoslovakians" are hot on the trail of one of their human DNA donors. Could the donor give them some clue to their past -- and their future? 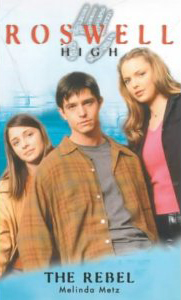 But Michael gets held up when he suddenly becomes the prime suspect in his foster father's murder. Good thing Jesse Ramirez, the new lawyer in Mr. Evens's firm and a close, personal friend of Isabel's, is there to help Michael out. But Sheriff Hanson is watching them all more closely than ever, and trails that once burned hot have suddenly gone cold. How are the aliens supposed to find their destiny when for every door that cracks open, another gets slammed in their faces? Night after night Kyle is haunted by nightmares of Alex's death. 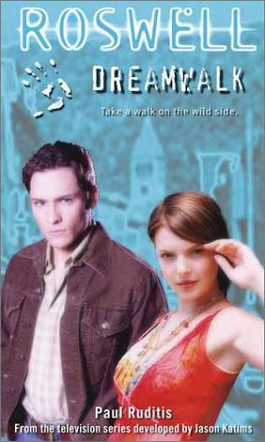 He begs Isabel to help by dreamwalking him and removing the images from his mind. Isabel knows that's not how her powers work, but Kyle is relentless and she fi nally agrees. The disturbing images she encounters in Kyle's subconscious are almost too much to bear, but when she tries to exit his mind, she finds herself trapped in a maze of guilt -- while back in the conscious world, Kyle is unable to wake her. There's a new corporation in town -- Meta-chem -- and Liz is psyched to land a scholarship program working in the lab. 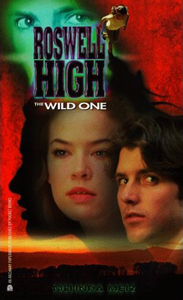 But when the giant pharmaceutical company creates a disease that accidentally infects the town, Liz is among the first to fall ill -- and, despite his powers, Max is unable to heal her. 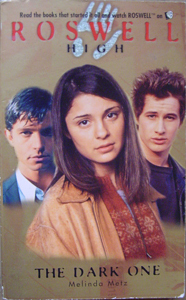 As Max, Michael, Isabel. 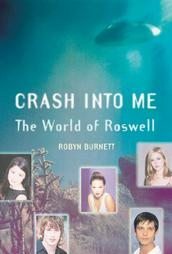 Liz, Maria, and Kyle pile inot their van and leave Roswell behind, they are each hoping for positive experiences - or at least something different from most of the events of the past three years. After all, their high school years were anything but typical - the whole alien experience has nearly cost them their lives, again and again. Still, they know that taking charge of their destinies and deciding to make a positive difference in the world has empowered them all. 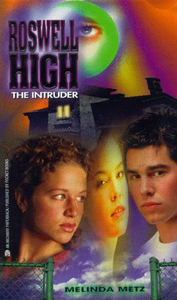 While traveling through Colorado, Liz sees a vision of Maria being chased through a large house. Needless to say, the van then mysteriously breaks down right in front of a creepy old mansion. Tired of being pushed around by fate, the group decides to spend the night. 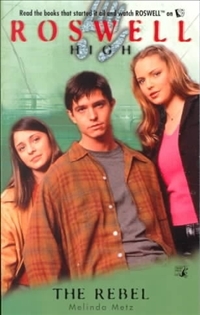 But what they find hidden inside the house forces them all to face a powerful enemy, Max to make a decision about his leadership abilities, and Liz to reconsider her role in the group now that her powers are developing. Looks like the battles they fought back in Roswell aren't entirely over. 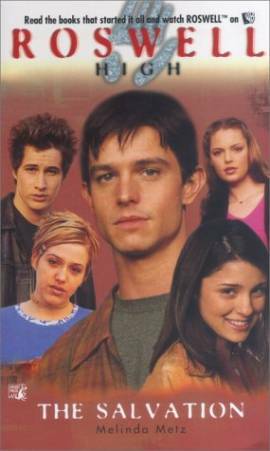 And while the group knows they have changed their destiny by leaving Roswell, they begin to wonder how much they are really in control. 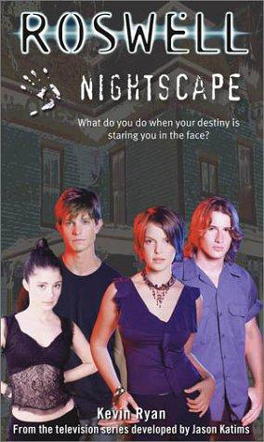 Liz can see the future, but when they act on her visions, are they changing or simply carrying out their destiny? 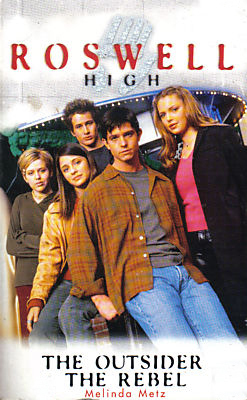 When Liz, Max, Maria, Michael, and Kyle left Roswell, they didn't think their lives would suddenly become perfect. They were, after all, on the run from the FBI. But they certainly didn't think things could get much worse. They're learning how wrong they were. The FBI has tracked them via their e-mail accounts and is hot on the group's trail. It can only be a matter of time before they are apprehended. According to Liz's most recent visions, a horrible death awaits Isabel in Los Angeles -- the same place where the Evanses, the Parkers, and one of the New York dupes are being held by the FBI's ruthless Special Unit. 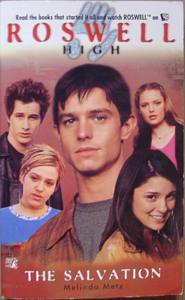 Determined not to allow Liz's dire prophecy to come to pass, Max sends his sister to Boston to reunite with her husband, Jesse Ramirez, accompanied by the newly-powered Kyle. What no one realizes is that an alien danger waits for these travelers in the shadows. 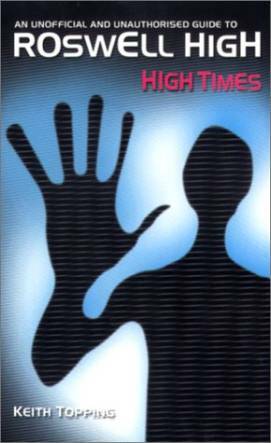 Meanwhile, Max's group hits L.A. and drafts their former alien protector to help plan and execute and all-out assault on the federal government's shadowy alien hunters. 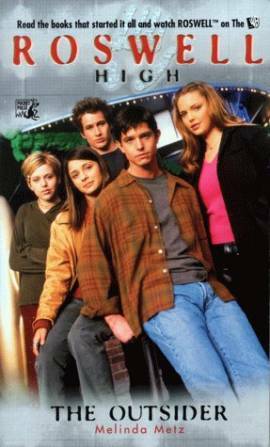 Now the Roswell teens and their dupes must work together in a desperate bid to beat the Special Unit at its own covert game. 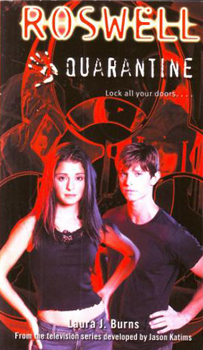 But can Max confront the feds directly -- and rescue his and Liz's parents -- without getting blood on his hands? 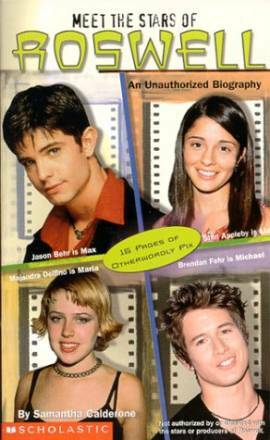 The Roswell characters all have seerets - now check out what's up with the actors who play them. Here's your first chance to find out their real life stories, their triumphs, traumas . 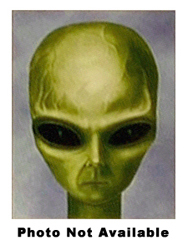 . . and who really believes in UFOs and aliens. Facts, stats, photos, addresses, horoscopes, behind-the-scenes secrets - this is the whole package. What highway is the main thoroughfare in and out of town? What was Agent Topolsky's cover when she was investigating the students of Roswell High? Who was the emcee at the Roswell Crash Festival? Which hand did Max use to heal Liz? 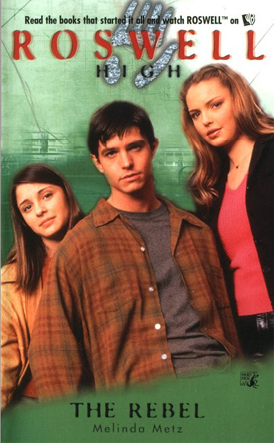 Learn the secrets that Sheriff Valenti is dying to find out and test your Roswell IQ with these pop quiz questions, plus many more! Roswell - a small town in New Mexico where nothing remarkable ever happened. Until 1947 that is, when a seemingly spectacular crash became the most famous alien encounter ever. Max, Isabel and Michael are not from 'around here'. 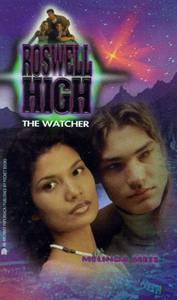 Abandoned on Earth, they now live in Roswell as everyday teenagers. Forming an unlikely alliance with Liz, Maria and Alex, they have to outwit their families, friends and the local sheriff to keep their secret safe. In this handy, but fun episode-by-episdode guide to the first two seasons. Keith Topping explores their world, encompassing interview extracts, cast and crew biographies, series fandom on the Internet and, of course, the highlights of the show. 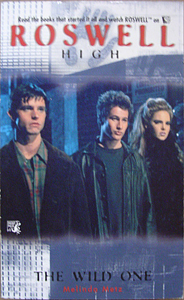 Written by the author of the bestselling, acclaimed Buffy and Angel Fan Guides, this book fully does justice to the second-highest rated new show on any network in the 1999-2000 season in the US. 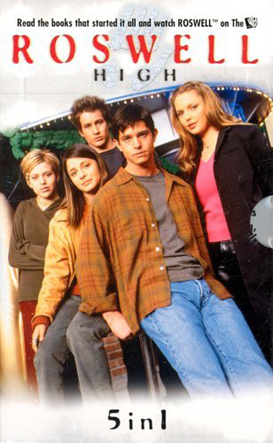 Roswell fans and UFO buffs will love learning about the alien mythology and the 1947 Roswell crash that prompted Jason Katims (creator of My So-Called Life) and David Nutter (creator of The X-Files) to combine forces and spawn the hit television show Roswell. 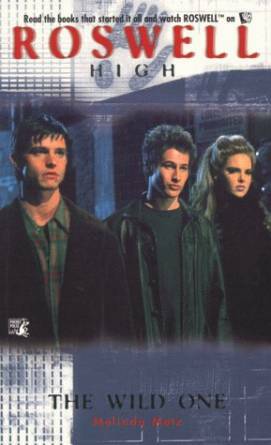 This is an intense, intelligent drama that explores the lives of three alien/human hybrid teenagers as they struggle to keep their true identity secret, elude the FBI, battle enemy alien forces, and lead normal teenage lives. 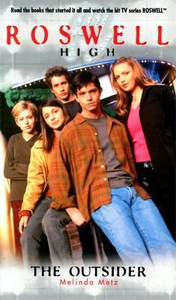 A look at the show, its fans, and its history, this guide is packed with biographies and photographs of the cast, detailed commentaries on each episode, and information on how to find the best Roswell information on the Web.